Stowell RD, Wong EL, Batchelor HN, Mendes MS, Lamantia CE, Whitelaw BS, Majewska AK. "Cerebellar microglia are dynamically unique and survey Purkinje neurons in vivo." Developmental neurobiology.. 2018 Jun 0; 78(6):627-644. Epub 2018 Jan 18. Wong EL, Lutz NM, Hogan VA, Lamantia CE, McMurray HR, Myers JR, Ashton JM, Majewska AK. "Developmental alcohol exposure impairs synaptic plasticity without overtly altering microglial function in mouse visual cortex." Brain, behavior, and immunity.. 2018 Jan 0; 67:257-278. Epub 2017 Sep 14. Lowery RL, Tremblay ME, Hopkins BE, Majewska AK. "The microglial fractalkine receptor is not required for activity-dependent plasticity in the mouse visual system." Glia.. 2017 Nov 0; 65(11):1744-1761. Epub 2017 Aug 24. Wong EL, Stowell RD, Majewska AK. "What the Spectrum of Microglial Functions Can Teach us About Fetal Alcohol Spectrum Disorder." Frontiers in synaptic neuroscience. 2017 9:11. Epub 2017 Jun 19. Sipe GO, Lowery RL, Tremblay MÈ, Kelly EA, Lamantia CE, Majewska AK. "Microglial P2Y12 is necessary for synaptic plasticity in mouse visual cortex." Nature communications.. 2016 Mar 7; 7:10905. Epub 2016 Mar 07. Lantz CL, Sipe GO, Wong EL, Majewska AK, Medina AE. "Effects of Developmental Alcohol Exposure on Potentiation and Depression of Visual Cortex Responses." Alcoholism, clinical and experimental research.. 2015 Aug 0; 39(8):1434-42. Epub 2015 Jun 24. Sullivan KD, Majewska AK, Brown EB. "Single- and two-photon fluorescence recovery after photobleaching." Cold Spring Harbor protocols.. 2015 Jan 5; 2015(1):pdb.top083519. Epub 2015 Jan 05. Kelly EA, Russo AS, Jackson CD, Lamantia CE, Majewska AK. "Proteolytic regulation of synaptic plasticity in the mouse primary visual cortex: analysis of matrix metalloproteinase 9 deficient mice." Frontiers in cellular neuroscience.. 2015 9:369. Epub 2015 Sep 22. Shapovalov Y, Zettel M, Spielman SC, Amico-Ruvio SA, Kelly EA, Sipe GO, Dickerson IM, Majewska AK, Brown EB. "Fluoxetine modulates breast cancer metastasis to the brain in a murine model." BMC cancer.. 2014 Aug 16; 14:598. Epub 2014 Aug 16. Lamantia C, Tremblay ME, Majewska A. "Characterization of the BAC Id3-enhanced green fluorescent protein transgenic mouse line for in vivo imaging of astrocytes." Neurophotonics.. 2014 Jul 0; 1(1):011014. Epub 2014 Sep 12. Kelly EA, Tremblay ME, Gahmberg CG, Tian L, Majewska AK. "Subcellular localization of intercellular adhesion molecule-5 (telencephalin) in the visual cortex is not developmentally regulated in the absence of matrix metalloproteinase-9." The Journal of comparative neurology.. 2014 Feb 15; 522(3):676-88. Kelly EA, Opanashuk LA, Majewska AK. "The effects of postnatal exposure to low-dose bisphenol-A on activity-dependent plasticity in the mouse sensory cortex." Frontiers in neuroanatomy.. 2014 8:117. Epub 2014 Oct 22. Kelly EA, Tremblay MÈ, Gahmberg CG, Tian L, Majewska AK. "Interactions between intercellular adhesion molecule-5 positive elements and their surroundings in the rodent visual cortex." Communicative & integrative biology. 2013 Nov 1; 6(6):e27315. Epub 2013 Dec 10. Madden KS, Zettel ML, Majewska AK, Brown EB. "Brain tumor imaging: live imaging of glioma by two-photon microscopy." Cold Spring Harbor protocols.. 2013 Mar 1; 2013(3)Epub 2013 Mar 01. Madden KS, Zettel ML, Majewska AK, Brown EB. "Brain tumor imaging: imaging brain metastasis using a brain-metastasizing breast adenocarcinoma." Cold Spring Harbor protocols.. 2013 Mar 1; 2013(3)Epub 2013 Mar 01. Sukhotinsky I, Chan AM, Ahmed OJ, Rao VR, Gradinaru V, Ramakrishnan C, Deisseroth K, Majewska AK, Cash SS. "Optogenetic delay of status epilepticus onset in an in vivo rodent epilepsy model." PloS one.. 2013 8(4):e62013. Epub 2013 Apr 24. Majewska AK. "Imaging visual cortical structure and function in vivo." Journal of glaucoma.. 2013 22 Suppl 5:S21-3. Tremblay ME, Zettel ML, Ison JR, Allen PD, Majewska AK. "Effects of aging and sensory loss on glial cells in mouse visual and auditory cortices." Glia.. 2012 Apr 0; 60(4):541-58. Epub 2012 Jan 05. Yu H, Majewska AK, Sur M. "Rapid experience-dependent plasticity of synapse function and structure in ferret visual cortex in vivo." Proceedings of the National Academy of Sciences of the United States of America.. 2011 Dec 27; 108(52):21235-40. Epub 2011 Dec 12. Mower AF, Kwok S, Yu H, Majewska AK, Okamoto KI, Hayashi Y, Sur M. "Experience-dependent regulation of CaMKII activity within single visual cortex synapses in vivo." Proceedings of the National Academy of Sciences of the United States of America.. 2011 Dec 27; 108(52):21241-6. Epub 2011 Dec 12. Tropea D, Sur M, Majewska AK. "Experience-dependent plasticity in visual cortex: Dendritic spines and visual responsiveness." Communicative & integrative biology. 2011 Mar 0; 4(2):216-9. Tremblay MÈ, Majewska AK. "A role for microglia in synaptic plasticity?" Communicative & integrative biology. 2011 Mar 0; 4(2):220-2. Jeong JK, Tremere LA, Burrows K, Majewska AK, Pinaud R. "The mouse primary visual cortex is a site of production and sensitivity to estrogens." PloS one.. 2011 6(5):e20400. Epub 2011 May 24. Bogart LJ, Levy AD, Gladstone M, Allen PD, Zettel M, Ison JR, Luebke AE, Majewska AK. "Loss of prestin does not alter the development of auditory cortical dendritic spines." Neural plasticity.. 2011 2011:305621. Epub 2011 May 15. Lu SM, Tremblay MÈ, King IL, Qi J, Reynolds HM, Marker DF, Varrone JJ, Majewska AK, Dewhurst S, Gelbard HA. "HIV-1 Tat-induced microgliosis and synaptic damage via interactions between peripheral and central myeloid cells." PloS one.. 2011 6(9):e23915. Epub 2011 Sep 02. Tropea D, Majewska AK, Garcia R, Sur M. "Structural dynamics of synapses in vivo correlate with functional changes during experience-dependent plasticity in visual cortex." The Journal of neuroscience : the official journal of the Society for Neuroscience.. 2010 Aug 18; 30(33):11086-95. Kozai TD, Marzullo TC, Hooi F, Langhals NB, Majewska AK, Brown EB, Kipke DR. "Reduction of neurovascular damage resulting from microelectrode insertion into the cerebral cortex using in vivo two-photon mapping." Journal of neural engineering.. 2010 Aug 0; 7(4):046011. Epub 2010 Jul 19. Kelly EA, Tremblay ME, McCasland JS, Majewska AK. "Postsynaptic deregulation in GAP-43 heterozygous mouse barrel cortex." Cerebral cortex.. 2010 Jul 0; 20(7):1696-707. Epub 2009 Nov 13. Tremblay, M-E., Lowery, R. L., Majewska, A. "Experience-dependent interactions between microglia and synapses in the mouse visual cortex in vivo". PLOS Biology. 2010; 8(11). Lowery, R.L. ; Majewska, A. "Intracranial Injection of Adeno-associated Viral Vectors". J Visualized Experiments. 2010; 45. Kelly, EA; Majewska, A. "Chronic imaging of mouse visual cortex using a thinned-skull preparation". J Visualized Experiments. 2010; 44. Marker, D.; Tremblay, M-E.; Lu, S-M.; Majewska, A.; Gelbard, H.A. "A thin-skull window technique for chronic two-photon in vivo imaging of murine microglia in models of neuroinflammation". J Visualized Experiments. 2010; 19(43). Tremblay, M-E.; Riad, M.; Majewska, A. "Preparation of brain tissue for protein localization at the electron microscopic level". J Visualized Experiments. 2010; 20(41). Lowery RL, Zhang Y, Kelly EA, Lamantia CE, Harvey BK, Majewska AK. "Rapid, long-term labeling of cells in the developing and adult rodent visual cortex using double-stranded adeno-associated viral vectors." Developmental neurobiology.. 2009 Sep 1; 69(10):674-88. Rittenhouse, C.; Majewska, A. "Synaptic mechanisms of activity-dependent remodeling in visual cortex". J Experimental Neuroscience. 2009; 2: 23-41. Majewska, A. "Dynamic remodeling of dendritic spines in developmental visual plasticity." Journal of Cell Science. 2007; 3(3): 85-98. Deisseroth K, Feng G, Majewska AK, Miesenböck G, Ting A, Schnitzer MJ. "Next-generation optical technologies for illuminating genetically targeted brain circuits." The Journal of neuroscience : the official journal of the Society for Neuroscience.. 2006 Oct 11; 26(41):10380-6. Oray S, Majewska A, Sur M. "Effects of synaptic activity on dendritic spine motility of developing cortical layer v pyramidal neurons." Cerebral cortex.. 2006 May 0; 16(5):730-41. Epub 2005 Aug 24. Majewska AK, Newton JR, Sur M. "Remodeling of synaptic structure in sensory cortical areas in vivo." The Journal of neuroscience : the official journal of the Society for Neuroscience.. 2006 Mar 15; 26(11):3021-9. Wang, K., Majewska, A., Schummers, J., Farley, B., Hu, C., Sur, M., Tonegawa, S. "The critical role of arc in stimulus-specific activation of neuronal ensembles in visual cortex." Cell. 2006; 126: 389-402. 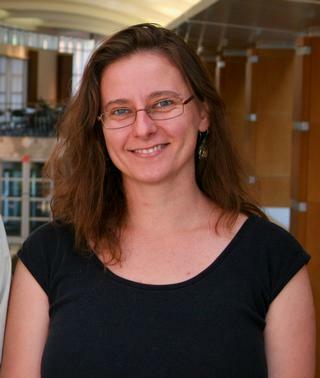 Majewska, A., Sur, M. "Plasticity and specificity of cortical processing networks." TINS. 2006; 29: 323-9. Hayashi Y, Majewska AK. "Dendritic spine geometry: functional implication and regulation." Neuron.. 2005 May 19; 46(4):529-32. Oray S, Majewska A, Sur M. "Dendritic spine dynamics are regulated by monocular deprivation and extracellular matrix degradation." Neuron.. 2004 Dec 16; 44(6):1021-30. Majewska A, Sur M. "Motility of dendritic spines in visual cortex in vivo: changes during the critical period and effects of visual deprivation." Proceedings of the National Academy of Sciences of the United States of America.. 2003 Dec 23; 100(26):16024-9. Epub 2003 Dec 08. Yuste R, Majewska A. "On the function of dendritic spines." The Neuroscientist : a review journal bringing neurobiology, neurology and psychiatry.. 2001 Oct 0; 7(5):387-95. Majewska A, Yuste R. "Topology of gap junction networks in C. elegans." Journal of theoretical biology.. 2001 Sep 21; 212(2):155-67. Majewska A, Yiu G, Yuste R. "A custom-made two-photon microscope and deconvolution system." Pflügers Archiv : European journal of physiology.. 2000 Dec 0; 441(2-3):398-408. Majewska A, Tashiro A, Yuste R. "Regulation of spine calcium dynamics by rapid spine motility." The Journal of neuroscience : the official journal of the Society for Neuroscience.. 2000 Nov 15; 20(22):8262-8. Yuste R, Majewska A, Holthoff K. "From form to function: calcium compartmentalization in dendritic spines." Nature neuroscience.. 2000 Jul 0; 3(7):653-9. Majewska A, Brown E, Ross J, Yuste R. "Mechanisms of calcium decay kinetics in hippocampal spines: role of spine calcium pumps and calcium diffusion through the spine neck in biochemical compartmentalization." The Journal of neuroscience : the official journal of the Society for Neuroscience.. 2000 Mar 1; 20(5):1722-34. Dunaevsky A, Tashiro A, Majewska A, Mason C, Yuste R. "Developmental regulation of spine motility in the mammalian central nervous system." Proceedings of the National Academy of Sciences of the United States of America.. 1999 Nov 9; 96(23):13438-43. Smetters D, Majewska A, Yuste R. "Detecting action potentials in neuronal populations with calcium imaging." Methods : a companion to Methods in enzymology.. 1999 Jun 0; 18(2):215-21. Yuste R, Majewska A, Cash SS, Denk W. "Mechanisms of calcium influx into hippocampal spines: heterogeneity among spines, coincidence detection by NMDA receptors, and optical quantal analysis." The Journal of neuroscience : the official journal of the Society for Neuroscience.. 1999 Mar 15; 19(6):1976-87. Yuste, R.; Majewska, A.; Cash, S. S. "From Form to Function: Functional Exploration of Dendritic Morphology in CA1 pyramidal neurons". Developmental Neuropsych. 1999; : 315-316. Murphy GM, Lee YL, Jia XC, Yu AC, Majewska A, Song Y, Schmidt K, Eng LF. "Tumor necrosis factor-alpha and basic fibroblast growth factor decrease glial fibrillary acidic protein and its encoding mRNA in astrocyte cultures and glioblastoma cells." Journal of neurochemistry.. 1995 Dec 0; 65(6):2716-24. Murphy GM, Bitting L, Majewska A, Schmidt K, Song Y, Wood CR. "Expression of interleukin-11 and its encoding mRNA by glioblastoma cells." Neuroscience letters.. 1995 Aug 25; 196(3):153-6. Author List: Sullivan, K., Majewska, A., Brown, E.
Author List: Madden, K.; Zettel, M.; Majewska, A.; Brown, E.
Edited By: Helmchen F., Konnerth A. Author List: Brown, E.; Majewska, A.; Jain, R. K.
Edited By: So P.; Masters B. Author List: Newton, J.R.; Majewska, A.; Ellsworth, C.; Sur, M.
Author List: Brown, E.; Majewska, A.; Jain, R.K.
Edited By: Yuste R. and Konnerth A.